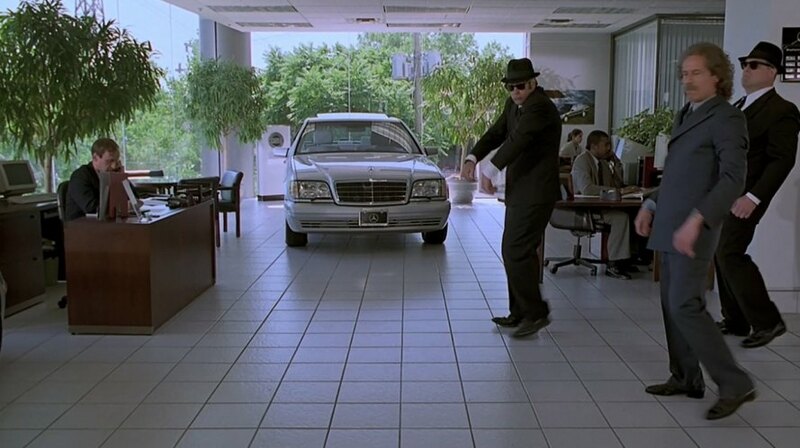 IMCDb.org: 1997 Mercedes-Benz S-Klasse [W140] in "Blues Brothers 2000, 1998"
That's another stupid thing to do to a W140. It ruined the damn paintjob! It could be washable paint like the stuff they used on the Bluesmobile. It's a good thing you don't share the same affinity to Ford Crown Victorias. I'm amazed i can hold back the anger fronm someone doing this to my best car. 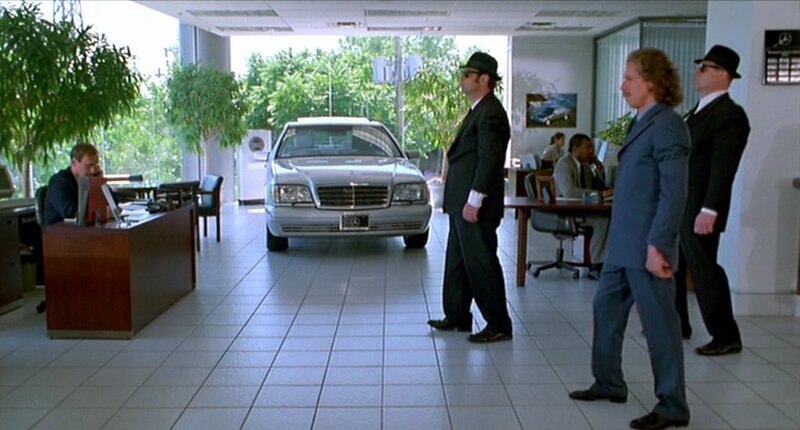 If you have to paint something on a Mercedes, do you take a brand new one from the dealership or a two-years old one that looks identical and is cheaper? (maybe even sold by the same dealership as second-hand car). It was probably wash-off paint anyway. What does he write anyway? 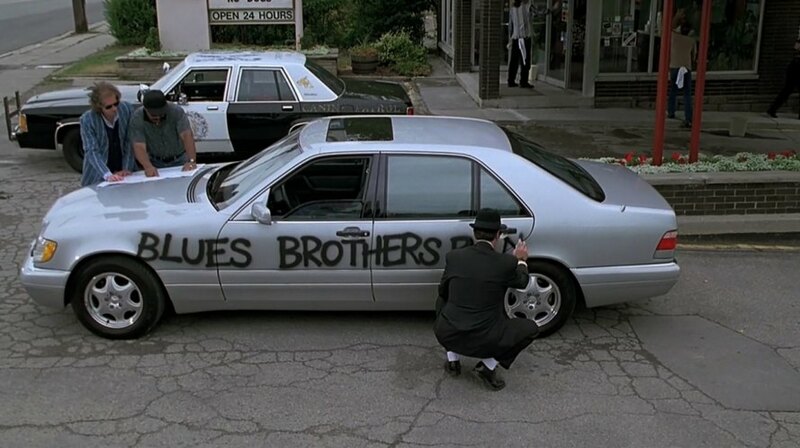 BLUES BROTHERS BAND. 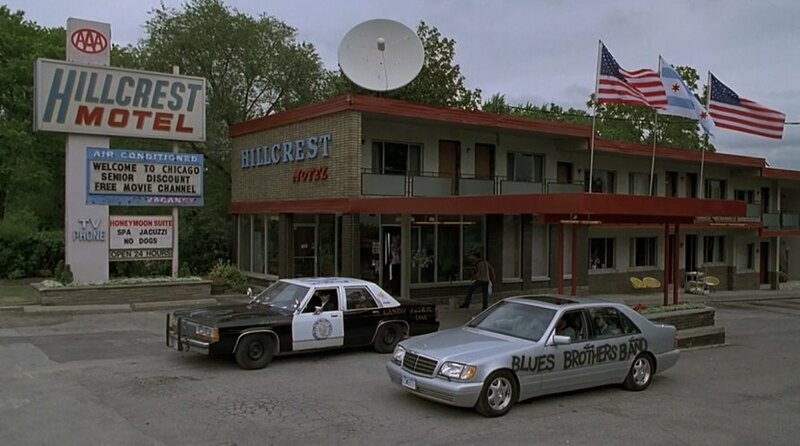 There's the Blues Brothers (originally Jake and Elwood, in this film it becomes Elwood, "Mighty" Mack, Buster and later Cabel), and the Blues Brothers Band, who play the instruments. Crown Vic is definitely more beautiful than this Mercedes!!!! abandoned door mounted air bags for seat side mounted air bags.